I am always in awe of Michael Morpurgo’s ability to weave stories that take you back in time and leave you in a world where you experience everything as if you are right there with the characters. In his latest book Flamingo Boy, I found myself so involved with the characters and what was happening to them, that I held my breath at times and needed tissues to continue. We begin with a boy named Vincent who likes to draw and suddenly we are in France and the middle of WW2. Renzo is Flamingo Boy, a young autistic boy who has the gentleness to heal injured birds and animals but also the anger and rage of someone unable to cope with change. He sees the best in people but fears the world he doesn’t understand. The story is set in the unique landscape of the Camargue in the South of France during WW2. Renzo lives with his parents on their farm among the salt flats surrounded by flamingos. His life is simple and very much routine, as any change at all can unsettle him for weeks on end. One special treat is going to the market to ride the carousel and his favourite animal on the ride is the horse. The carousel becomes pivotal to the story and symbolically it represents so much more, but mostly it offers hope. His family befriends the Roma family and their daughter Kezia who run the carousel. Roma people are hated as much as the Jews during war time so when the Germans take over the town, Renzo and his parents hide Kezia’s family. This is a powerful book in many ways. We see destruction as a result of war and how it affects everyone on both sides. We see what it like to be different from others and how hard it is to fit in, whether being Roma or being autistic. We do however, see the value of friendships and trust. We see so much love and hope in this book that I think it should be in schools everywhere. A very moving story that will stay with me for a very long time. I am loving this book. A refreshing look at the beloved story of The Wizard from Oz told from the point of view of Toto the dog. He sees things Dorothy doesn’t see and adds so much to the adventure. Toto is an adorable, funny and lovable character. He chases hats in the wind just as dogs might do. He is Dorothy’s best friend and as she says, he doesn’t bite. That makes for a great dog. The delightful brightly coloured illustrations by Emma Chichester Clark become so much a part of the story too. This is a winner for everyone. Younger children will love it being read aloud and independent readers will not want to put it down. I don’t want to put it down but I do need to go to work. I also love how the author, as with his trademark ability, takes us back into the past and we are suddenly right there in the story. We are right there with Dorothy and Toto as they head down the yellow brick road. An absolute winner and I can’t wait for lunch time to read some more. A plucky little robin sets out on an epic journey. Through dark forests, driving rain, clapping thunder and flashing lights. 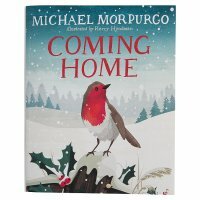 I am a huge fan of Michael Morpurgo and buy his books all the time. I love how his new book also helps Crisis a UK charity for homeless people. This is so needed, especially at Christmas time. I have already ordered my copy and can’t wait until it arrives in the post all the way over here in New Zealand. Do sit back and enjoy Michael reading his new book. Copyright of course to Waitrose. 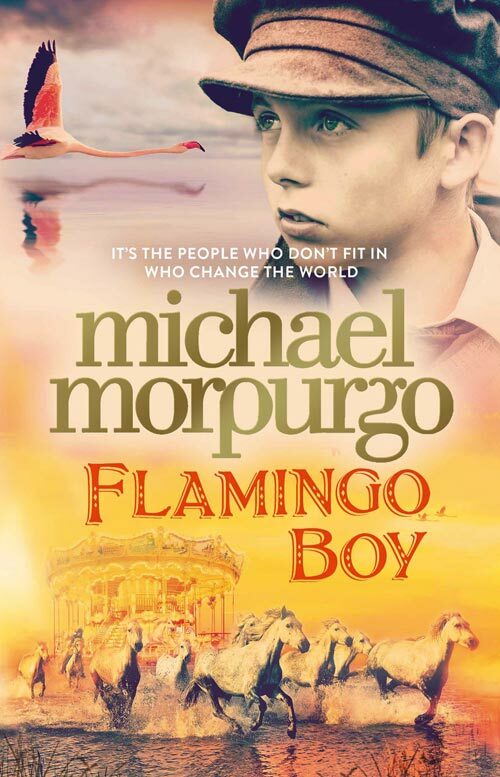 I am sure there are many readers who claim to be number one fans of author Michael Morpurgo but I assure you – I am number one or least somewhere near that title. I do after all own no less than 62 of his books. (Actually I just counted them and that even surprises me – no wonder I’m broke!) 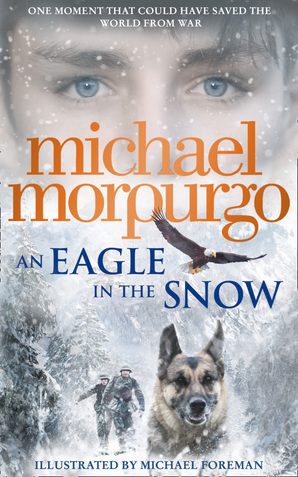 The latest addition is An eagle in the snow which is another fantastic read. Michael has the uncanny ability to take his readers and transport them across time and place and his latest book is no exception. I’m sitting up in bed reading this morning and suddenly I am on a train trapped in a tunnel in the dark while a stranger relays the story of Billy Byron, a soldier in the trenches of World War 1. I believe strongly that stories about the war enable us to connect to our past. Following Barney’s story and feeling his fear trapped in the dark yet trying to be brave. And of course Billy Byron’s story allows us to participate and gain knowledge about the wars, but from the warmth and safety of our homes. With World War commemorations it is a timely reminder of what has happened in the past, the consequences of war and how we need to encourage all we can to make a difference in our world so that this never happens again. It as it always is with Michael’s books, beautifully written, emotive and powerful. Aimed at readers from perhaps nine up this book hits the mark. I can see this being read by many students but for teachers taking a book club or using it as a set text there is so much to unpack. Questions arise as to what is the right thing to do and how do we know, how do we make some of our choices and what ethics or beliefs do we base our thoughts on. We can only do what we can with the knowledge we have at the time but what if …? I loved this book but that is no surprise. It is so easy to enjoy and be moved by his books. His writing flows even between the past and the present and I thoroughly enjoyed being taken on this journey. A great read. A great read-aloud too for senior primary students. Don’t forget to read the Afterword at the back of the book. A very handy chapter of facts. For the month of November schools and libraries in the UK are celebrating Michael Morpurgo’s 70th birthday. Oh How I would love to be in the UK right now! He writes the most wonderful stories for children and often pulls no punches when it comes to hitting us with raw emotion. I have cried over so many of his books but am in awe of his ability to take me places and leave me right in the middle of it all. In my day job as school librarian he is always at the top of books being issued. In this video he talks about how and why so many of his books have animals in them and not for the reasons you might think! 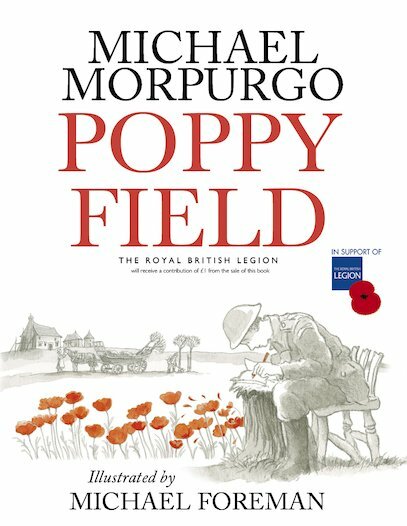 Michael Morpurgo talks about war in his novels and why it is a common thread in his books. Even though everywhere is frantic these days it is wonderful to find time to read children’s Christmas books. This small selection are some of my all time favourites. Not trailers but just beautiful books to share over the festive season. All time favourite and even though my copy is all yellowed, spotty and old, I still love it. The littlest angel is only 4 years old and always late for choir and his halo is always slipping off. This is an absolutely delightful classic. Originally a Little Golden Book. The illustrations in this version of the classic Christmas story are beautiful, bright and visually stunning. 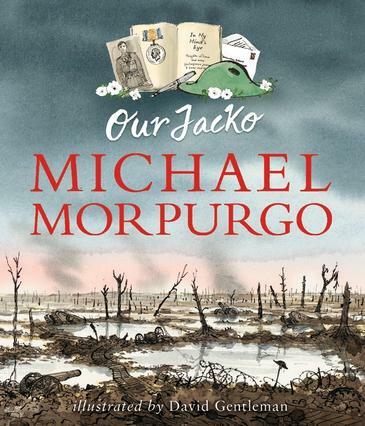 Michael Morpurgo never fails to impress. Here “It’s Christmas 1914 in the trenches of the Western front. And something wonderful has just happened”. Based on that most famous war-time christmas day, this book is lovely. Even amongst the most awful of times miracles can happen. Love it! Anyone who knows me, knows that my all time favourite author is Michael Morpurgo. His books are powerful and always very moving. He came out to New Zealand a few years ago and thundered out on to the stage, his voice booming and suddenly hundreds of students, teachers and librarians were in awe of this wonderful story teller. This trailer is actually for the movie of his very popular book Private Peaceful. Those of you in the UK will get to see this way before we will here in New Zealand so I will be waiting to hear how it goes. If you haven’t read any of his books then I urge you to do so. Private Peaceful is about two brothers out on the battle field trying to survive in World War 1. It is a story of love and loss and the horrors of war. I can not wait to see this movie.